What is the difference between the MS (Marketing) Program and the MBA Program with a Marketing Concentration? What are the standards for admission to Purdue’s MS (Marketing) program? 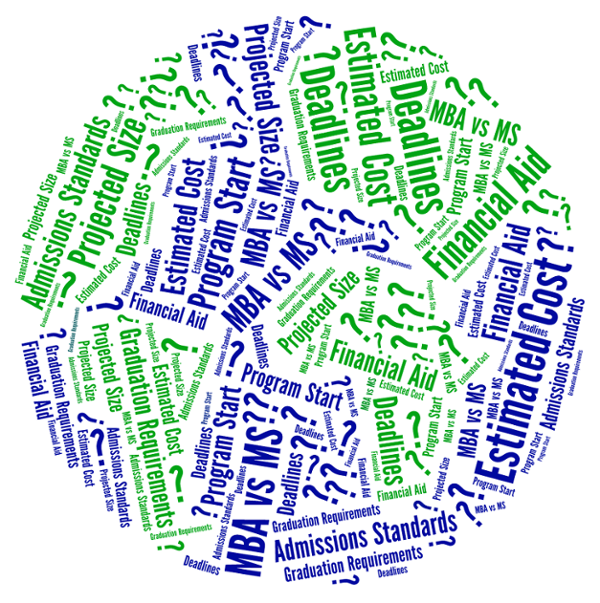 What is the estimated cost of attending the MS Marketing program? The MS (Marketing) Program is a one-year pre-experience, specialized program in marketing. It is specifically designed for undergraduates with no or limited work experience who aim to pursue a career in marketing. To the extent prior work experience is not required, the program places emphasis on acquiring experience in applying theoretical concepts to analyze and solve marketing problems through case studies, hands-on exercises, active learning projects, and immersion courses. The coursework in an MBA program is more broad-based and students are required to take at least one course in each functional area of business administration. MBA students have the option of selecting an area of specialization from among varied areas of business management including marketing. Program applicants are required to take either GMAT or GRE. International applicants are also required to take TOEFL. Although no minimum scores are required for admission, GMAT/GRE and TOEFL scores will be considering during the application review process. Students begin the program during the summer session. The deadline for international applicants and priority U.S. applicants is March 1 and the deadline for U.S. applicants is April 1. The program begins with a summer session and can be completed in one year at the end of the following spring semester. Students are required to complete at least 33 credit hours to fulfill the requirements for the MS Marketing program. All admitted candidates, both domestic and international, are automatically considered for financial awards.